The NUKÂ®Â family of brands design and develop superior products that enhance your child's overall development. By combining years of expertise and trust, we are committed to nurturing your children's healthy transitions from birth to toddler. We have worked for over 50 years to design the highest quality products that are innovative and scientifically-proven to support safe and healthy development. Backed by a dedicated team of experts, our products are designed to combine science with style while maintaining the highest quality. Our products don't just meet international safety standards, they exceed them. And we listen to the real world experts â€“ moms just like you â€“ to meet and exceed your needs. The Devon Crib is inspired by the clean lines and superior craftsmanship of traditional Shaker-style furniture. This simplicity translates easily to both modern and traditional interiors. 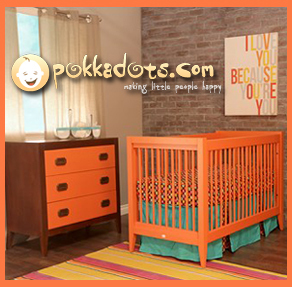 This modern crib can be outfitted with a toddler guardrail or crib storage drawer for added function. After the birth of their first children, interior design enthusiasts Melisa Fluhr and Pam Ginocchio set out to help parents find the vision, tools, and products for all their baby nursery and kid-friendly decorating projects. Since then, Project Nursery has grown to attract a highly connected, design-conscious community in the millionsâ€”reaching more than 1.5 million millennial parents, design professionals, bloggers and leading brands around the world each and every month. 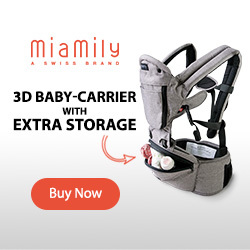 Carry your baby with good back posture and say good bye to backaches. Our high waist belt provides the extra lumbar support you need to comfortably carry your baby for long periods of time. Our unique 3D hip seat ensures baby's hips are always in the correct "M" position, even when baby is facing forward. You don't have to decide. With 9 different ways to carry your baby, the HIPSTERâ„¢ PLUS provides the benefits of hip seat, a structured carrier AND a ring ling in one carrier. Go Mama Go Designs is led by founder Georgia Fiebrich, who is driven to create and provide inspirational surroundings for your family. "I am inspired by the uniqueness and godliness of each one of us and the story we each carry with us." "We strive to honor the depth of a mother's love,Â her sacrifice, her relentness desire to serve her family and community. It is the most amazing thing in the world. I seek beauty and simplicity in every design. Celebrating mothers and women through my own creations is my mssion. If I can honor every mother by providing comfort and protection to her children, then my job is done." Go Mama Go is an anthem, a cheer, to all mothers everywhere. We know how hard you work, how eagerly you try to make life sweeter for everyone - the kindness in your heart, the love in your touch, the dreams you share for yourself and your family. We share them with you. 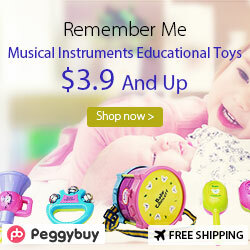 Unique Baby Gifts & Baby Gift Baskets for Newborns and Infants, Big Siblings & New Parents at babybasket.com. Ideal for New Baby Arrivals, Multiple Births, Baby Showers, and Designer Gifts by Angel Dear, cloud b, Gund, Klutz Books, Radio Flyer, Sara Kety, Silly Souls, Skip Hop, and Trumpette, It's a Boy! and It's a Girl celebrations! Create original, breathtaking and memoriable baby shower announcements and baby birth announcements. Founded in 1933, Holle has been manufacturing organic baby food using Demeter products for 80 years. They understand the awesome responsibility that comes from manufacturing organic baby food, not only for our babies, but also for the environment and our babies' future. POSH Mommy has always been a labor of love, built by mommies for mommies to recognize their strength and heart. Over 10 years ago, the first POSH Mommy started crafting beautiful, unique jewelry at home - hammering each piece by hand at the kitchen counter with a baby on each hip! Attention Pregnant Moms â€“ Finally, a safe and proven system that will show youâ€¦How to Defy the Baby-Weight Myth AND Attain Holisitc Health for You and Your Baby with this All-New Fitness and Nutrition Breakthroughâ€¦. Pregnancy is a wonderful time in any woman’s life. Its filled with Excitement, Happiness, Joy and Anticipation. But at the same time you may feel nervous, fearful and even sick because of the hormonal ups and downs. Your Body is going through a massive transformation and there’s no doubt that you may face some minor ailments during this phase. Ailments like Morning Sickness, Constipation, Itchy Skin, UTI etc. can dampen your experience. If you are Crunchy and would like to avoid taking any conventional medication during Pregnancy and Childbirth then this e-book is for YOU! Determining the gender of your child has never been easier! The pages of Ashley Spencer's,Â How to Conceive the gender of Your Choice, will allow you to uncover the secrets of gender selection. The medical science contained within the ebook originates from a rediscovered lost seminar and have been compiled in such a way that it will effortlessly aid you in your quest of having the baby of your dreams. This simple yet effective method has even got doctors and medical professionals noticing. You'll be amazed at how doctors and specialists praise the comprehensiveness of this ebook is in detailing all the factors and components needed for you to determine the baby of the gender of your choice. A comprehensive strength training program with seven different 10 - 15 minute routines that are trimester specific. Each routine includes foam rolling, warm up, strength routine focusing on balance/posture/function and core, cool down/pelvic floor and static stretches. Baby Bump Fitness is run by personal trainer and mom Jacqueline Gradish for soon-to-be moms and new moms. Safe, quick & EFFECTIVE fitness solutions that really work, including workouts, rehab exercises and nutrition tips.